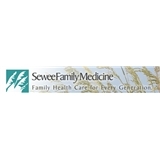 SeWee Family Medicine (Mount Pleasant) - Book Appointment Online! At Sewee Family Medicine, we provide a full scope of medical care from infancy to geriatrics for every member of your family. Our group of Mount Pleasant family physicians maintains board certification status with the American Board of Family Medicine to keep fully abreast of the most recent medical advancements. We care about every member of your family, regardless of their age. We look forward to providing you a courteous and professional family practice focused on getting you healthy. Dr. Whirrett and her staff were very professional and personable. Dr. DeCastro was great! Have been worried about issues I've been having recently and she went above and beyond to run several tests and reach out to a friend who is a cardiologist to get me in for an appointment ASAP.